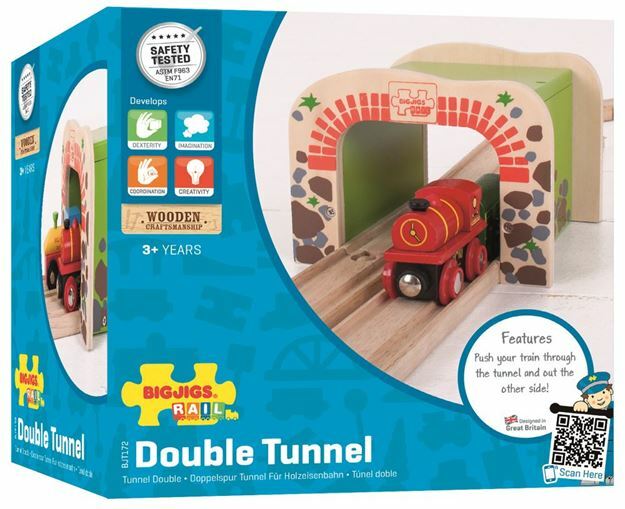 This wonderfully detailed Bigjigs Rail wooden Double Tunnel is a great addition to any wooden train set. With double the track, two trains are able to approach the tunnel from both directions, and pass each other! Making every play session unique, the Bigjigs Rail Double Tunnel is great for developing imagination and educating the mind. Age 3+ years. Compatible with most other wooden railway brands. Distributed in New Zealand by Holdson.